(Edmonton Alberta) – Are you challenged by your bookkeeping and accounting? Teresa Brunner Consulting can help. Teresa understands that your time is at a premium and keeping your financial records in order can add to your stress. Teresa is the real deal — extremely knowledgeable, highly experienced and completely trustworthy. She believes that you — her client — is unique. She believes that you deserve financial records that are correct, clear and on-time. Teresa Brunner Consulting offers 30-plus years of administrative expertise to you and your entire team. It’s said that you’re only as good as the people around you. By adding Teresa to your team, you’ll be adding her specialized knowledge to help you transform good to great. With Teresa on your side, you’ll breathe easier as you face your day-to-day books or your year-end statements. You’ll know that the numbers are accurate. You’ll trust what you see and have the data you need to successfully manage today and plan for the future. 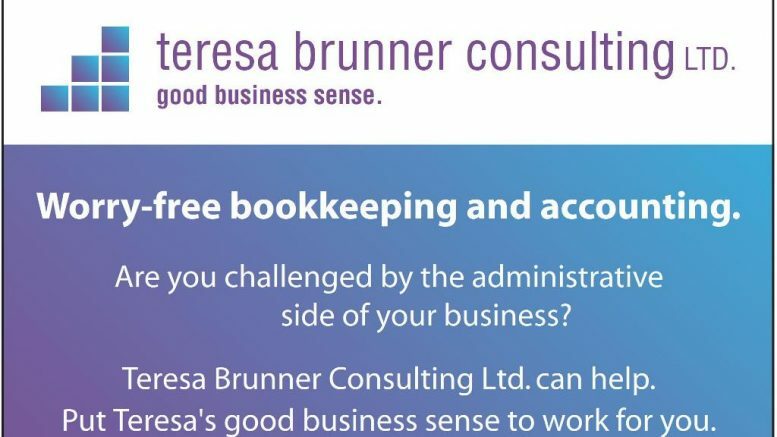 Teresa Brunner Consulting can support you in the ways that you choose, such as: Bookkeeping and accounting, Preparation of accounting records for year-end working papers, Compilation and preparation of Financial Statements, and Preparation, reconciliations, and filing of GST. She is also skilled with Accounting software system upgrade transitions, Restoration of accounting data after a computer crash, Development of Budgets and Cash Flow Projections and Streamlining existing bookkeeping procedures. Teresa Brunner Consulting also assists with the Development of accounting policies and procedures, Development of credit collection procedures, as well as Basic bookkeeping and accounting systems training. You may not know yet what you need, and that’s another way Teresa can help with her keen analytical mind and outstanding organizational skills. She’ll sit down to talk in depth with you and your staff or volunteers. She’ll thoroughly review your finances and make solid recommendations for action. Teresa knows that your business is much more than numbers, she knows that it’s about people first. With her warmth and professionalism, she’s able to work with everyone in your enterprise, from executives to all of your other valued employees. She never compromises confidentiality. Put Teresa’s good business sense to work for you by calling 780-916-7355 or email teresa@teresabrunner.ca. For more information visit teresabrunner.ca. Be the first to comment on "Teresa Brunner Consulting provides worry free bookkeeping & accounting and much more"